Marco Culture: You'll feel it the moment you walk in the door. 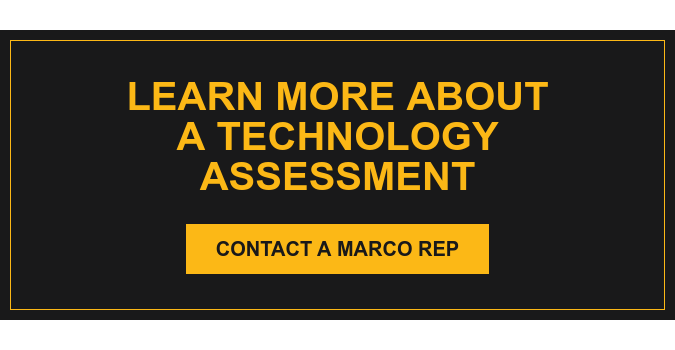 It's not uncommon for someone to walk into one of Marco's offices and ask to apply for any and all open positions just to be part of our team. We've created a unique culture and people feel it the moment they walk in the door. That validates our success as much as any of the awards we've received. It's not one program that makes it happen. Creating a strong corporate culture takes intention and a lot of passion. We have both. Doing good is a way of doing business. For Marco, it's not enough to just do well as a business. We believe we also must "do good." So we are committed to giving back to the communities we serve. We contribute financially, sponsor events, participate in fundraisers and encourage employees to volunteer on and off company time. There's a reason we're consistently voted one of the top workplaces by our employees. Since 1988, we've asked employees to share their input on topics ranging from compensation and satisfaction to their trust in our leadership. Each year, our leaders evaluate those survey questions, create new questions based on current business conditions and send out a new confidential survey. As a result, employees consistently give Marco the highest ratings for being a fun and friendly place to work, a good corporate citizen and a caring employer. Read more about our Leadership Culture in our CEO's blog.